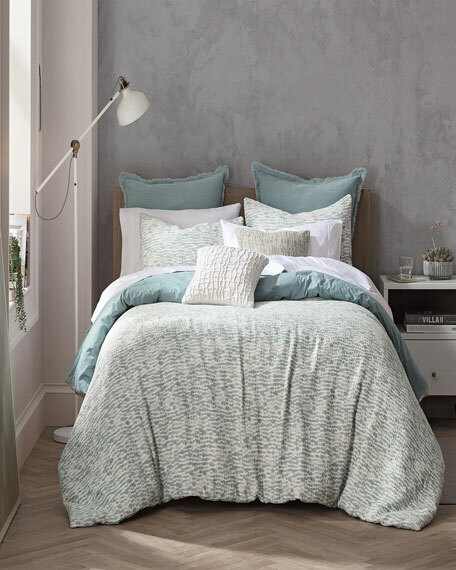 Four-piece "Anora" bedding set includes: one comforter (92" x 96"), one dust skirt (60" x 80" with 16" drop), and standard sham (26" x 20") face & reverse polyester exclusive of decoration. 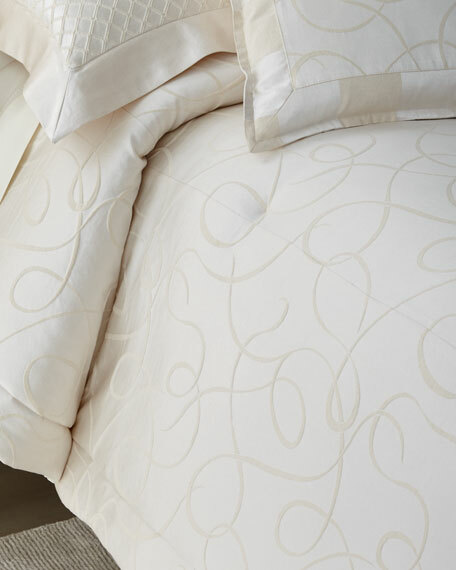 Four-piece "Anora" bedding set includes: one comforter (110" x 96"), one dust skirt (72" x 84" with 16" drop), and king sham (36" x 20") face & reverse polyester exclusive of decoration. 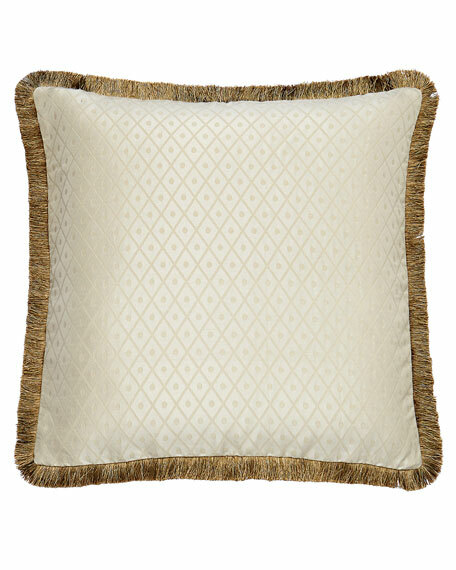 Braided cord trim provide an elevated, luxurious look. 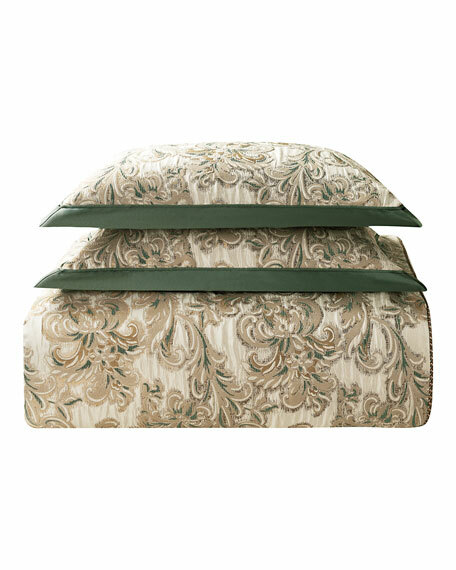 Four-piece "Anora" bedding set includes: one comforter (110" x 96"), one dust skirt (78" x 80" with 16" drop), and king sham (36" x 20") face & reverse polyester exclusive of decoration. 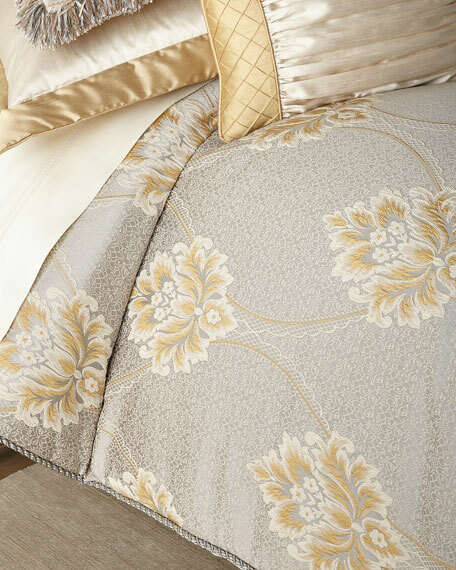 Lattice motif with a gold fringe border reverses to a delicate woven diamond pattern. 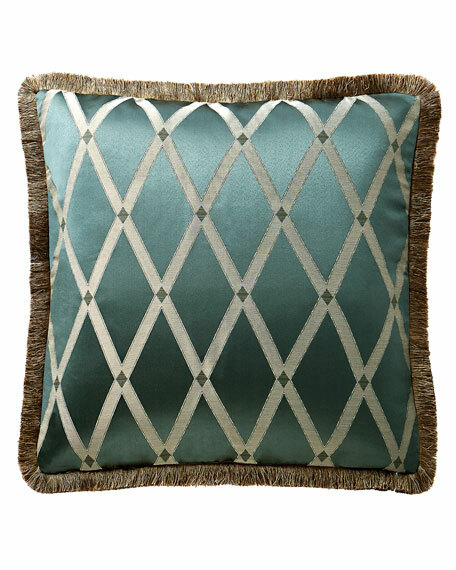 Tassel trim at each corner. 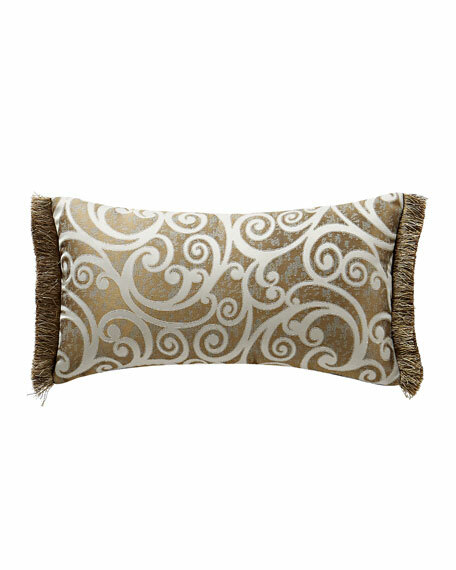 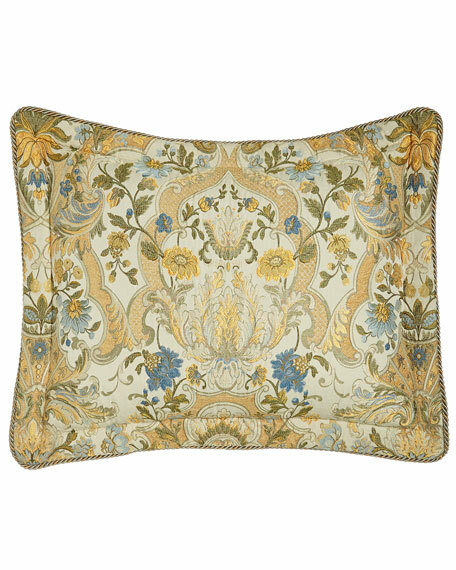 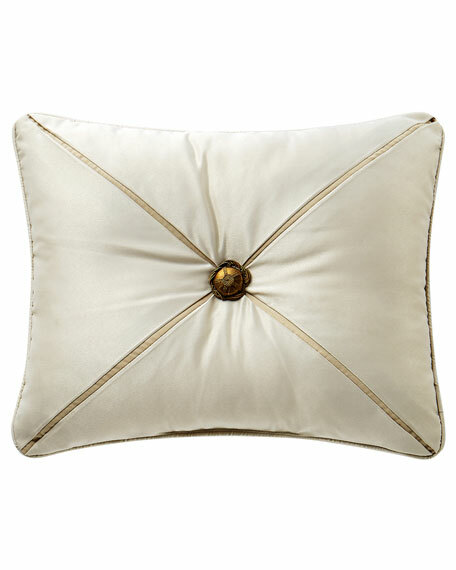 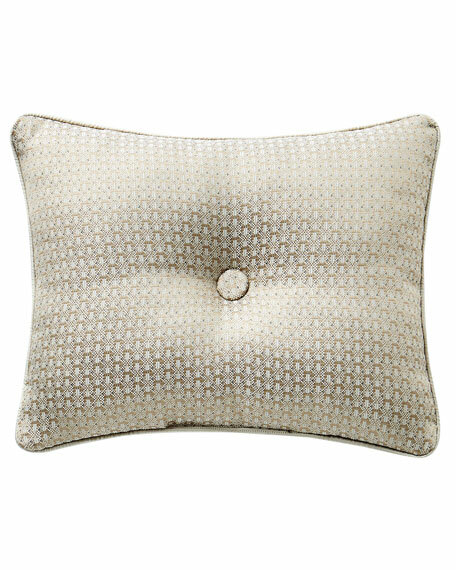 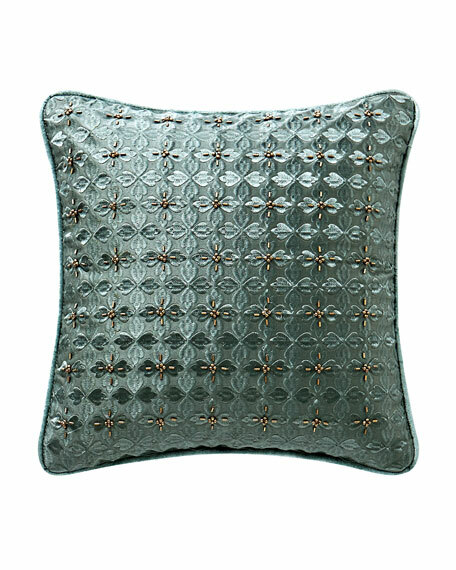 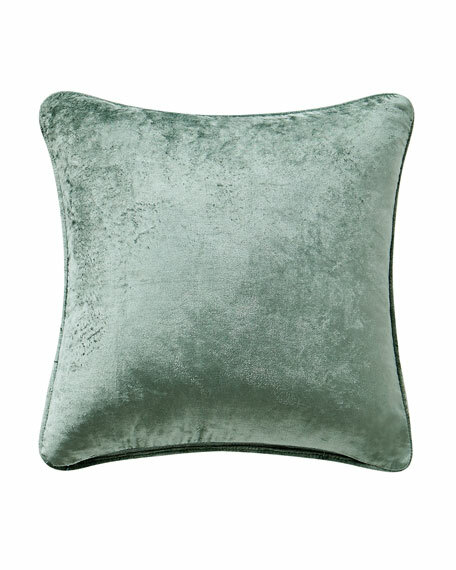 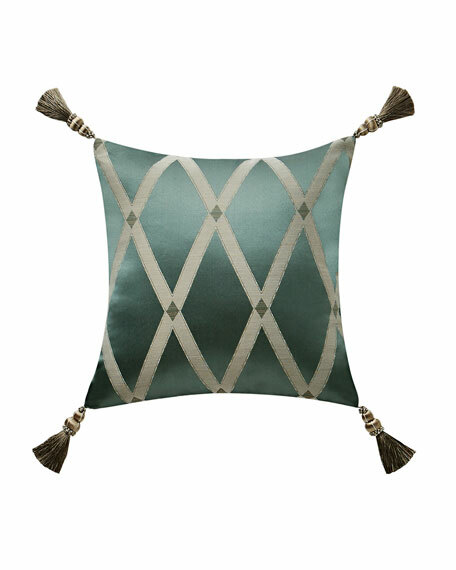 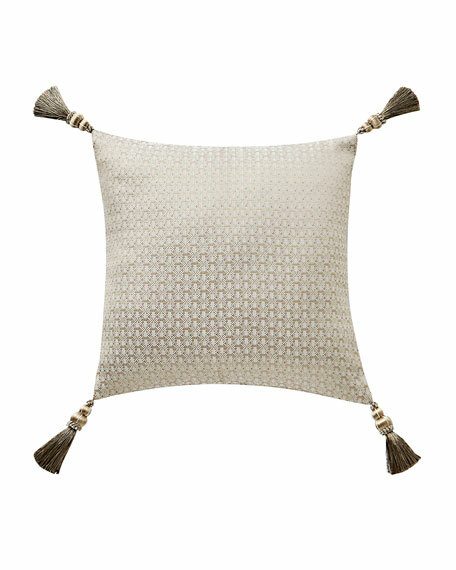 "Anora" decorative pillow in tufted satin features peekaboo pleats and a decorative golden button accent. 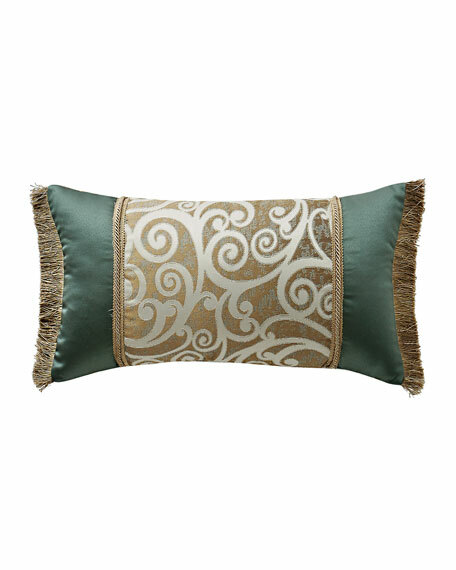 "Anora" decorative breakfast pillow with scroll jacquard center and satin sides.